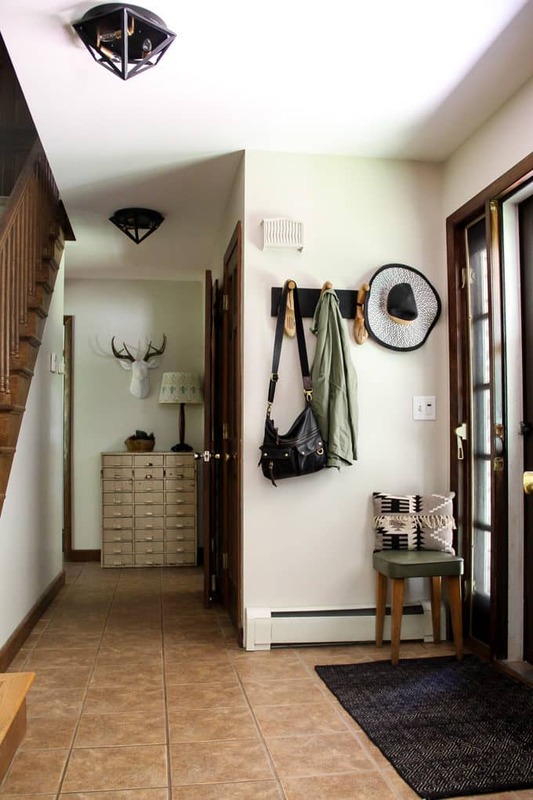 Our entryway is one space that I have had a hard time figuring out what to do with. It’s really not big enough for a console table, or even a chair, but I still want to make it feel welcoming. Over the last year I’ve made a few front entry updates. 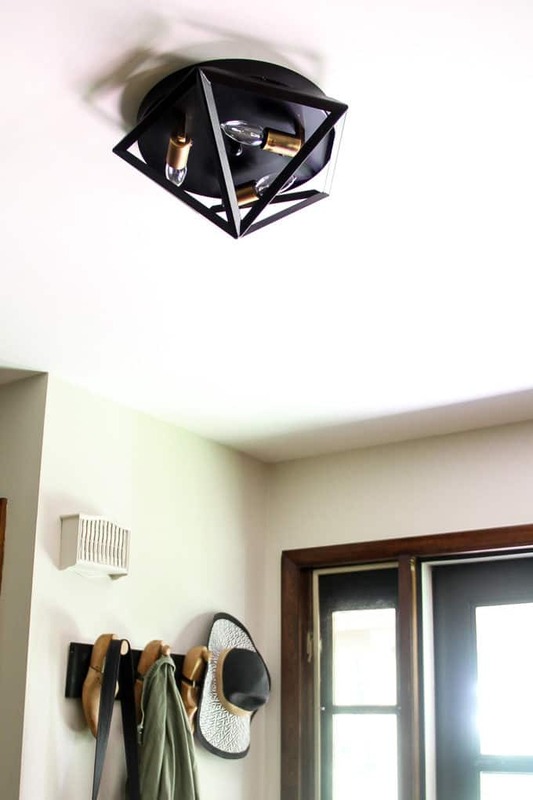 This winter I built the shoe stretcher coat rack, and I talked about choosing an affordable new flush mount light fixture. I recently got these new light fixtures installed, and as much as I love them, this space is still just not complete. Finally I’ve realized that the flooring is the real thing that’s bringing this space down. 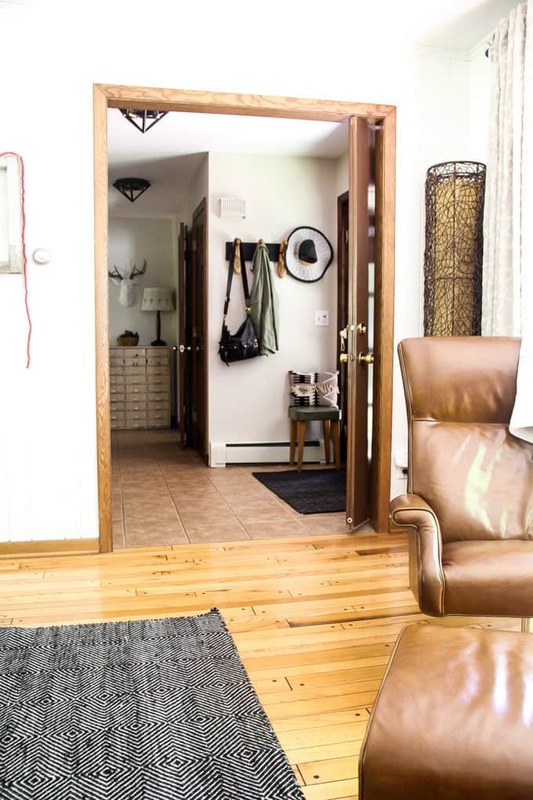 I started out thinking I needed a bigger entry rug, but then decided that I’m going to do something outrageous… I’m going to paint the tile floor!!! The rest of our house has beautiful oak flooring throughout, so I need to do something that will work with the neighboring living room. 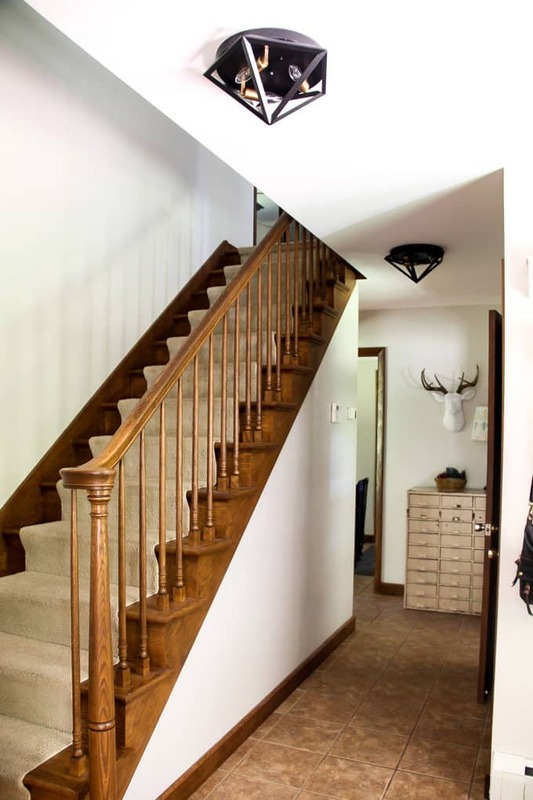 I also plan on replacing the carpet on the stairs with a new runner. Currently I’m leaning towards using this as a runner. 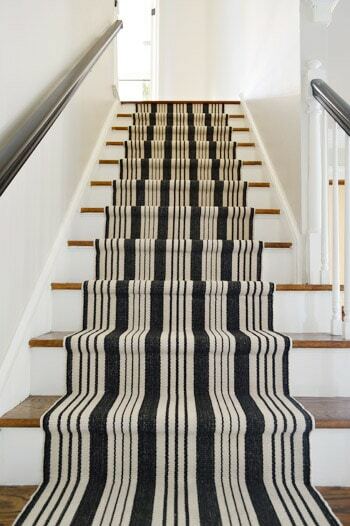 Young House Love used the same runner a few years ago and I love the look it gave their stairs. This means that however I paint the tile needs to work with the staircase. 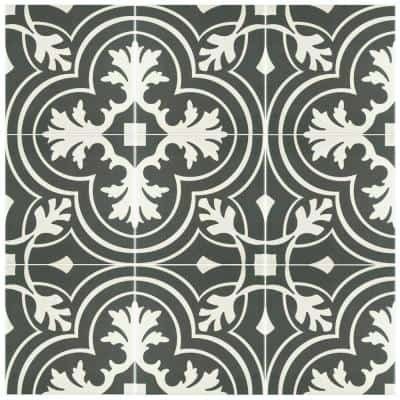 As for the look I’ll be going for with the painted tile, I want it to look like a cement tile floor. In a limitless world I’d actually be replacing the tile with this tile from Home Depot. 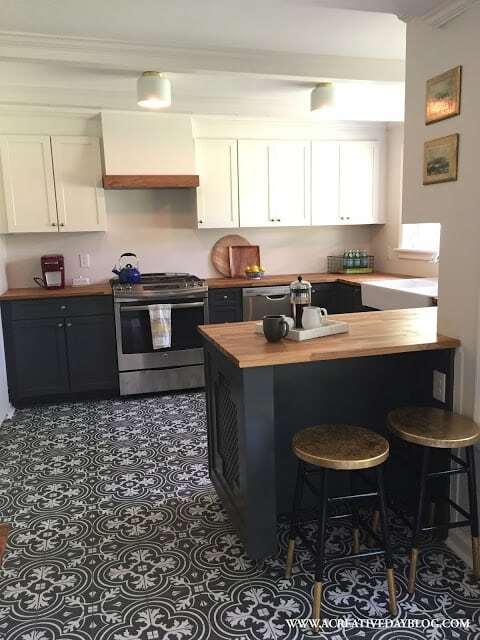 Here is an example of how Eileen from A Creative Day used the tile. Cassie from Hi Sugarplum! also used it on her backsplash which made me love it that much more. So today I contacted Stencils Online and for $55 they are making me a 12″ stencil of the same pattern as the Home Depot tile. Then it is just going to come down to LOTS of time working on the floor stenciling. I’m hoping I can create the same look on a slightly larger scale! 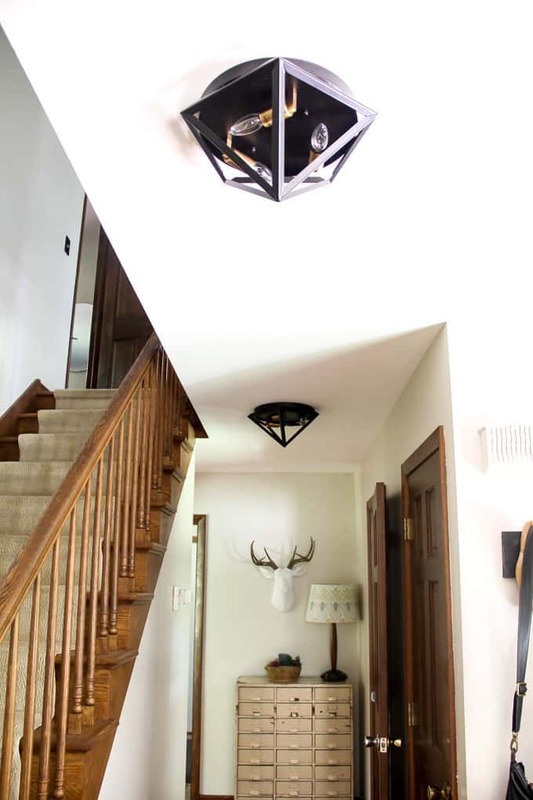 Until then I’ll be admiring my new geometric flush mount lights that I love so much! 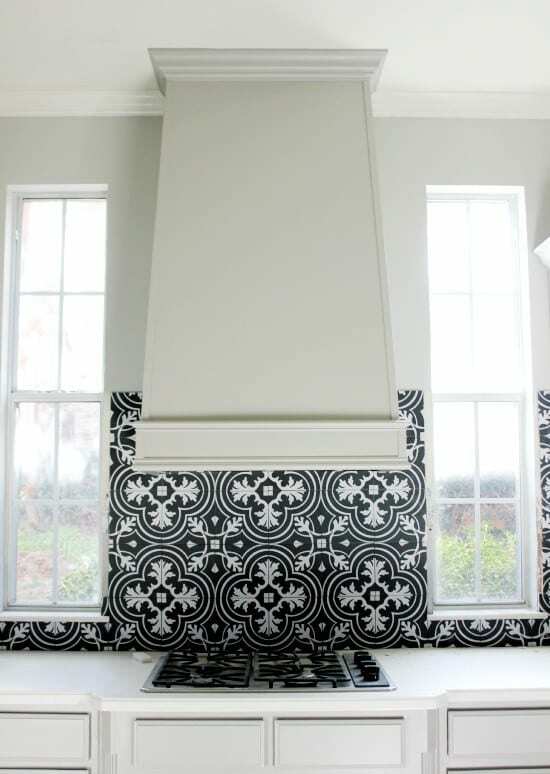 Are you loving the cement tile trend as much as I am? Have you ever stenciled anything? 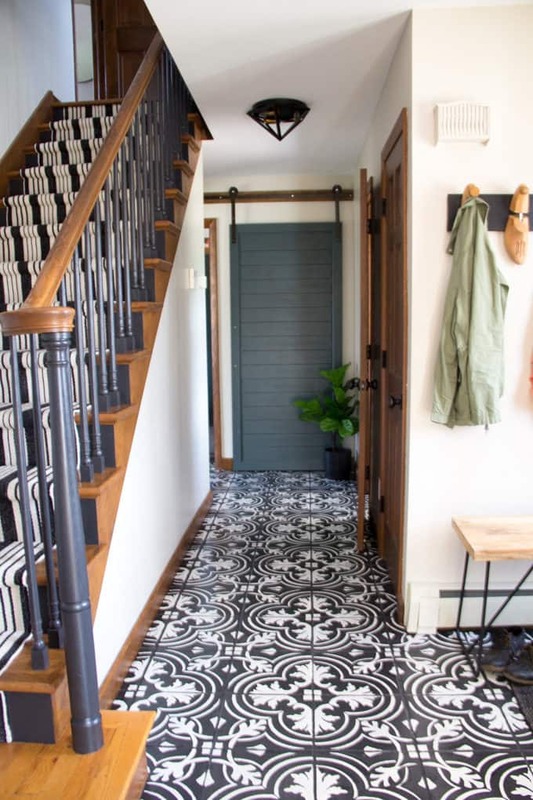 Do you think a stenciled floor will stand the test of time?! I feel like I hate that tile enough that I have nothing to lose! **June 2017 Update** I ended up painting the floors and it turned out AMAZING. Here’s one teaser shot! Click here for the full reveal! Jess, that tile will be gorgeous! I can’t wait to see it happen! Me too!! Now I just need a week with nothing going on so I can park it and stencil all week!